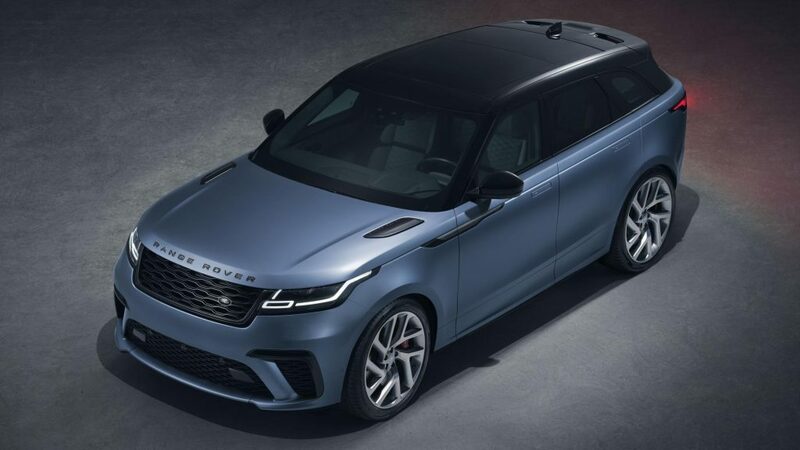 Out of nowhere, Land Rover has revealed a highly-stylised SUV with a supercharged 5.0-litre V8 under the bonnet. 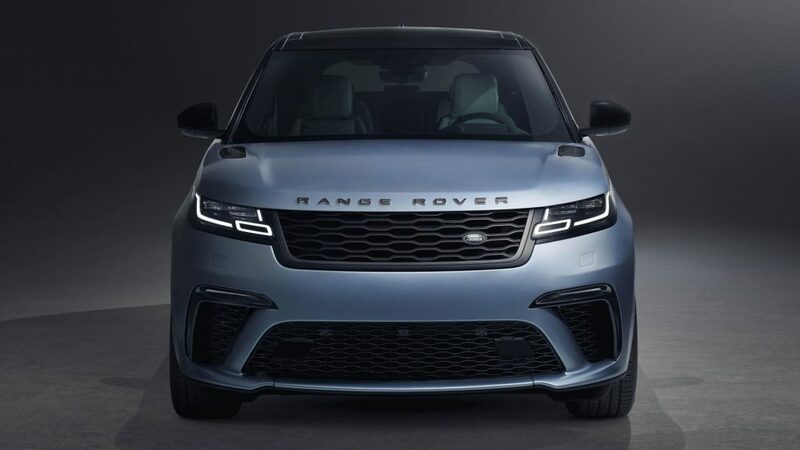 It is called the Range Rover Velar SVAutobiography Dynamic Edition which basically means it is a 550 hp (405 kW) Velar built by the Land Rover Special Vehicle Operations. 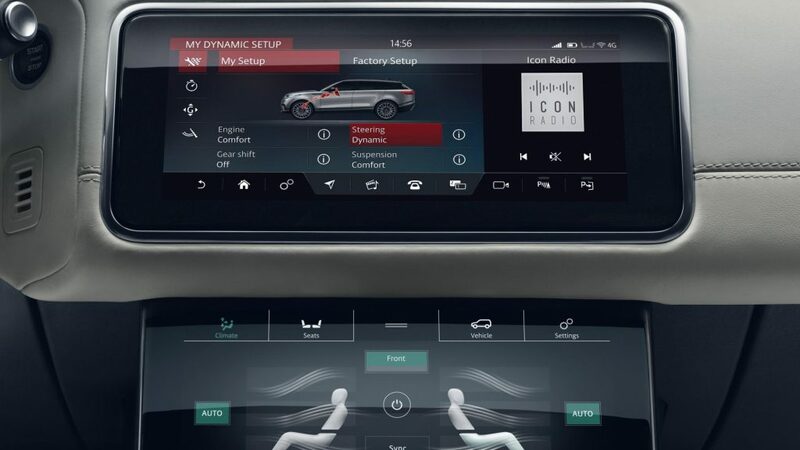 Autobiography means it is extremely luxurious and plushy while Dynamic means it is more Dynamic, obviously. 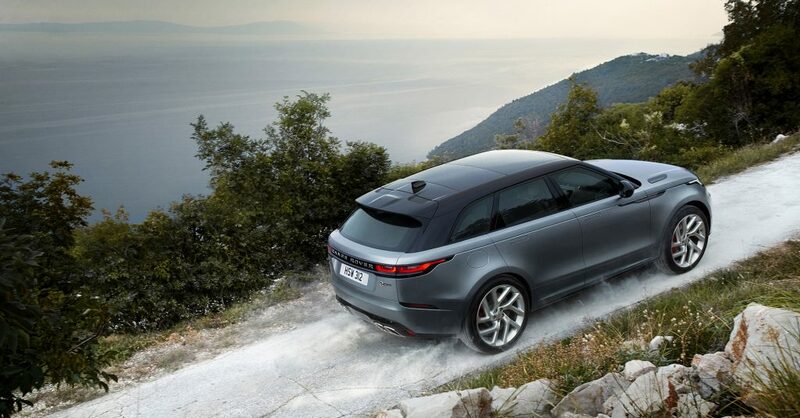 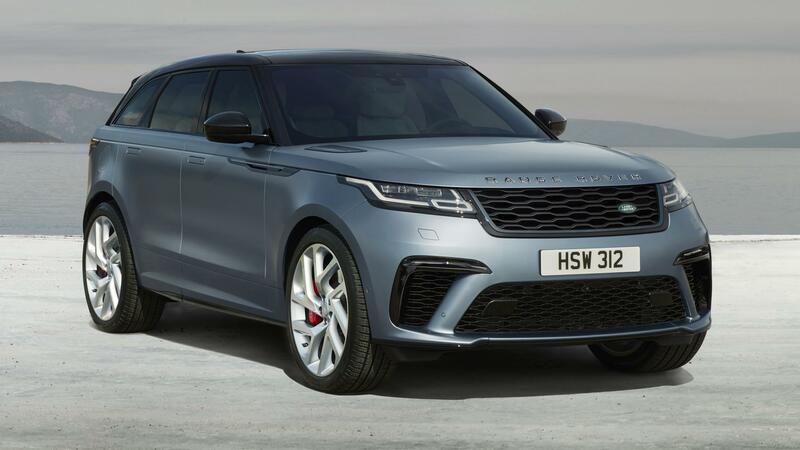 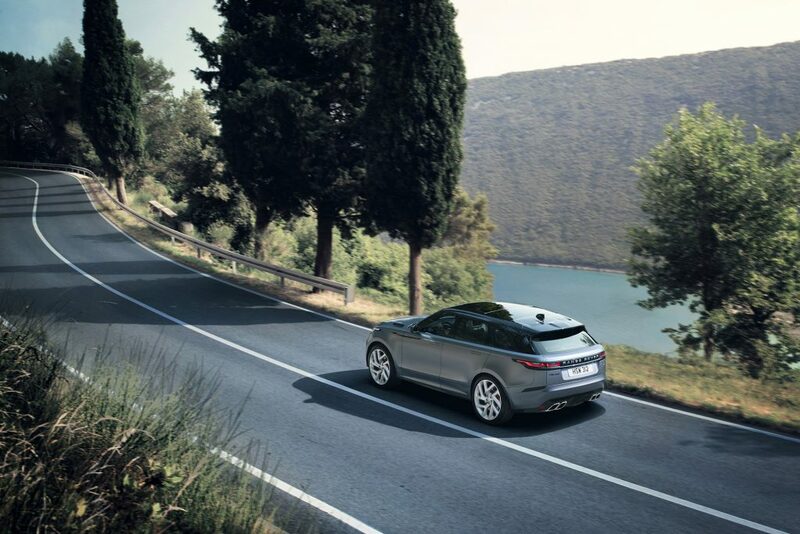 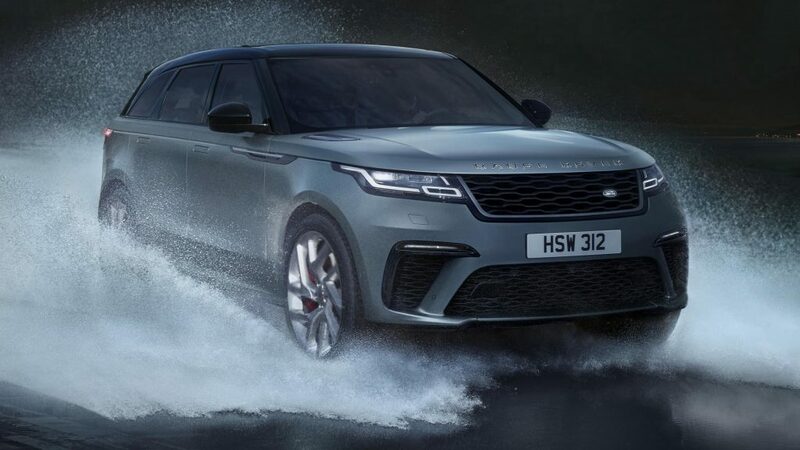 JLR’s familiar supercharged V8 engine sits up front which makes it the most powerful Velar on offer by far and can sprint to 100 km/h in just 4.5 seconds and go on to a top speed of 273 km/h. 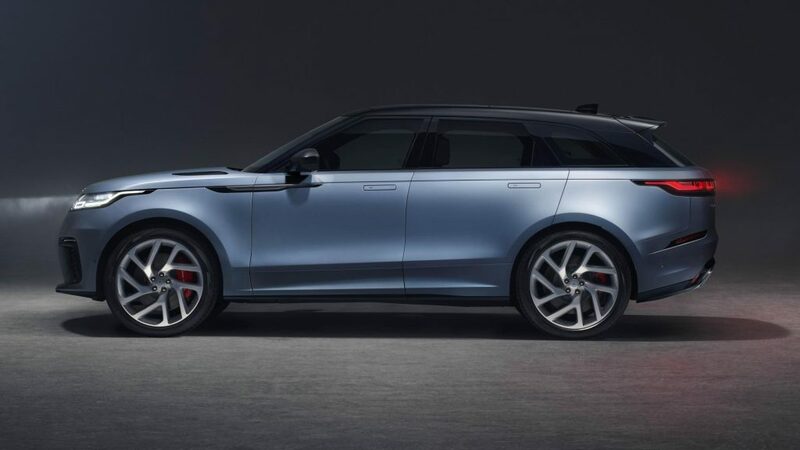 Obviously the brakes needed some upgrading with all this extra grunt so there are now four-piston 395mm front and 396mm diameter rear brake discs that are lighter, more powerful and finished in bright red so everyone knows you have the range-topper. 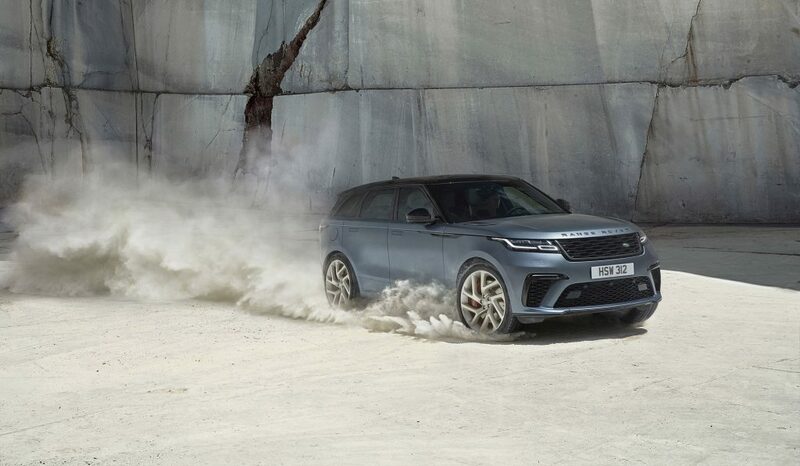 The electronics and eight-speed gearbox have also been given a go-faster map, while the anti-roll bars have been uprated and the air suspension has been revised for a firmer, more sporting, ride. 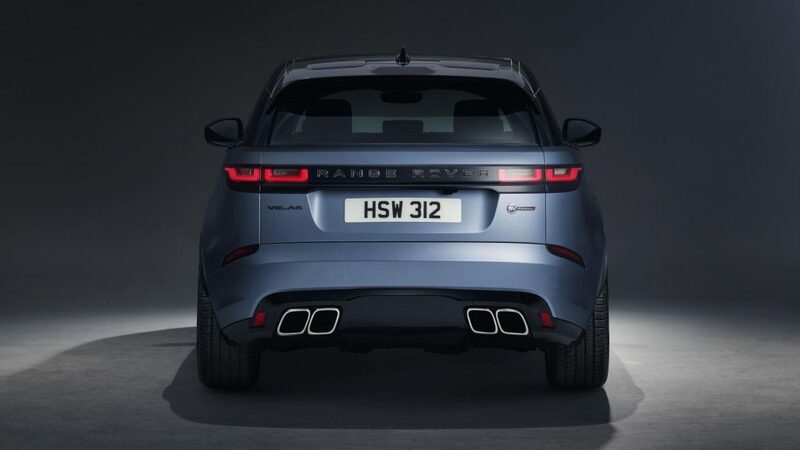 Exterior enhancements include a new grille, fresh side mouldings, exclusive badging, an updated rear bumper and an active sports exhaust with quad tips. 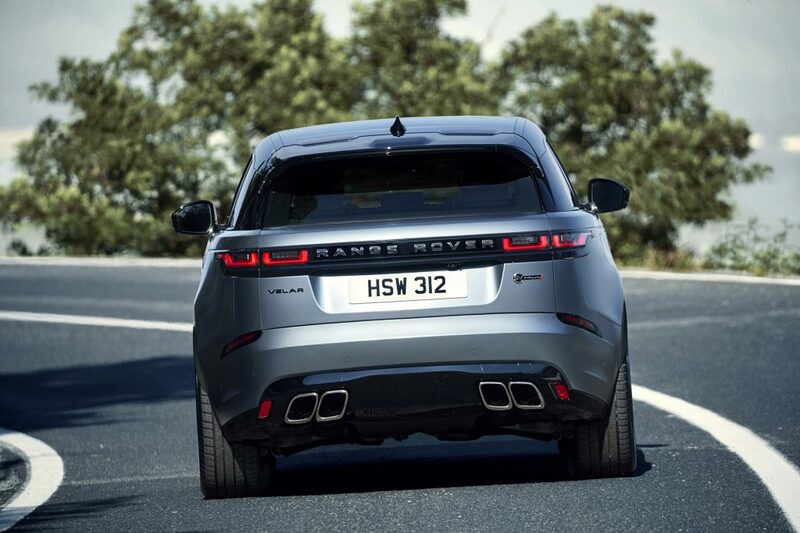 There is also a redesigned front bumper with larger intakes which feed the supercharger and cool the bigger brakes. 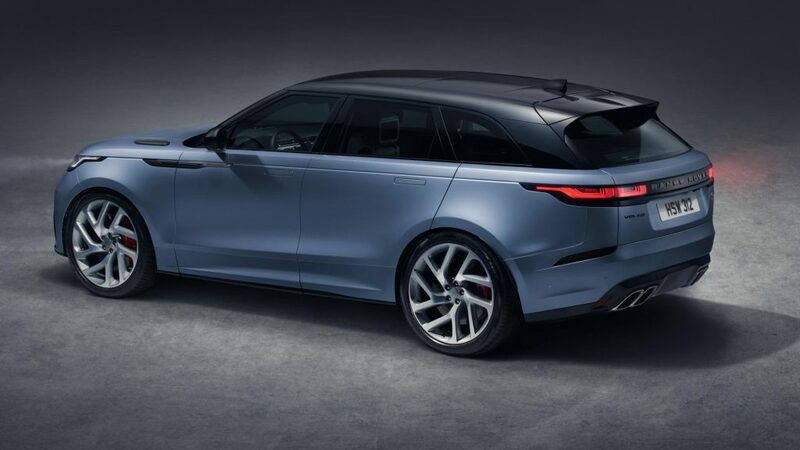 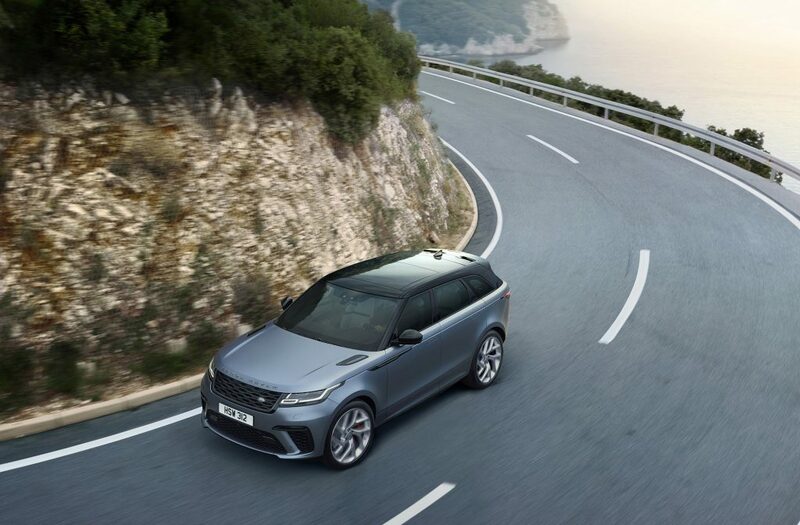 An exclusive metallic blue paint finish is offered for the Velar SVAutobiography, and all models feature a black roof as standard. 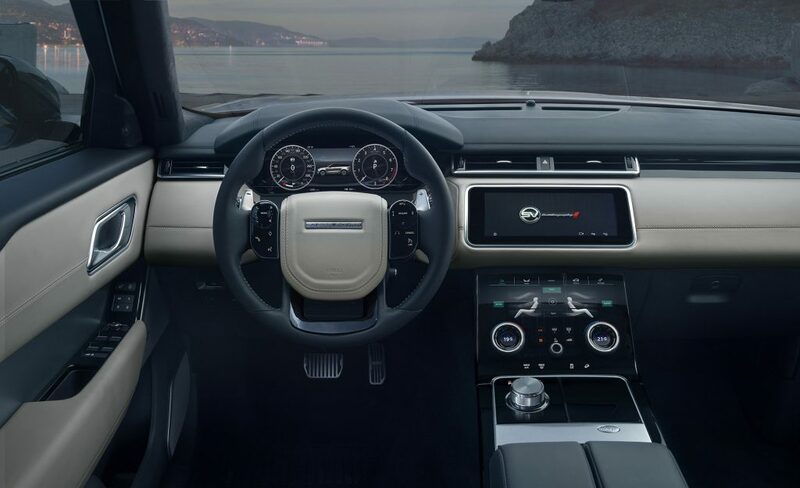 Inside, the newcomer gets quilted leather upholstery, a sports steering wheel and unique knurled dials for the infotainment system, heater controls and gear selector. 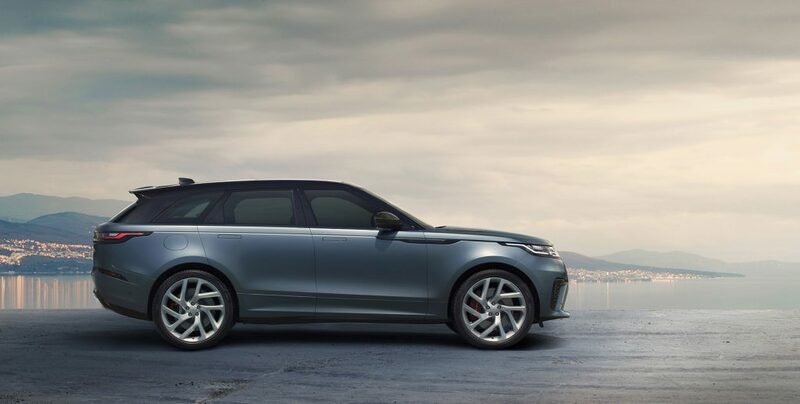 It will be available in South Africa in the second half of the year with a base price of R1,714,000.